TwinCitiesGolf.com has teamed up with 2nd Swing Golf to offer a special offer for the Minnesota Golf Show. Buy 5 pieces of apparel and receive your 6th piece FREE. TCG Special Offer: Save 40% off simulator time at Life Time Golf Club in St. Louis Park (located inside the Life Time Athletic club). Get 10 hours of golf simulator time for only $250 ($450 value). No time or day restrictions. Valid for FullSwing simulators (Bays 1, 2, 3, 5, 6). HD Golf simulator (Bay #4) = $10/hr surcharge. Prepaid hours valid through September 30, 2019. 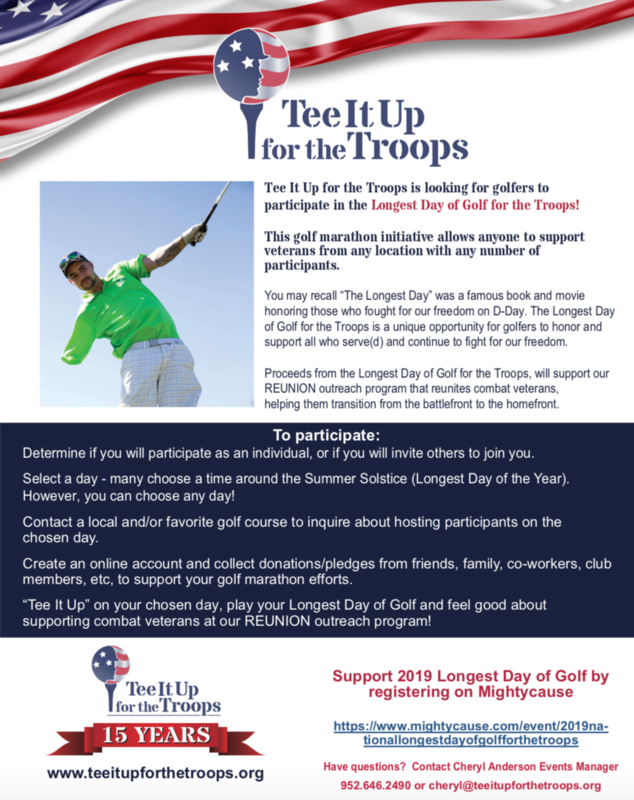 Ever wonder what happens when a local golf course partners with TCG for marketing & promotion? 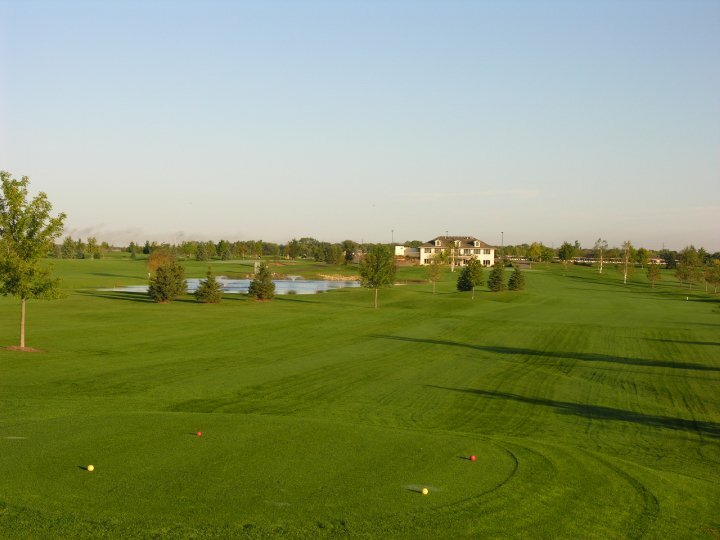 Check out the success of Goodrich Golf Course since teaming up with TCG. Golf is BOOMING again for those that think outside the box & that are willing to try some new ideas. 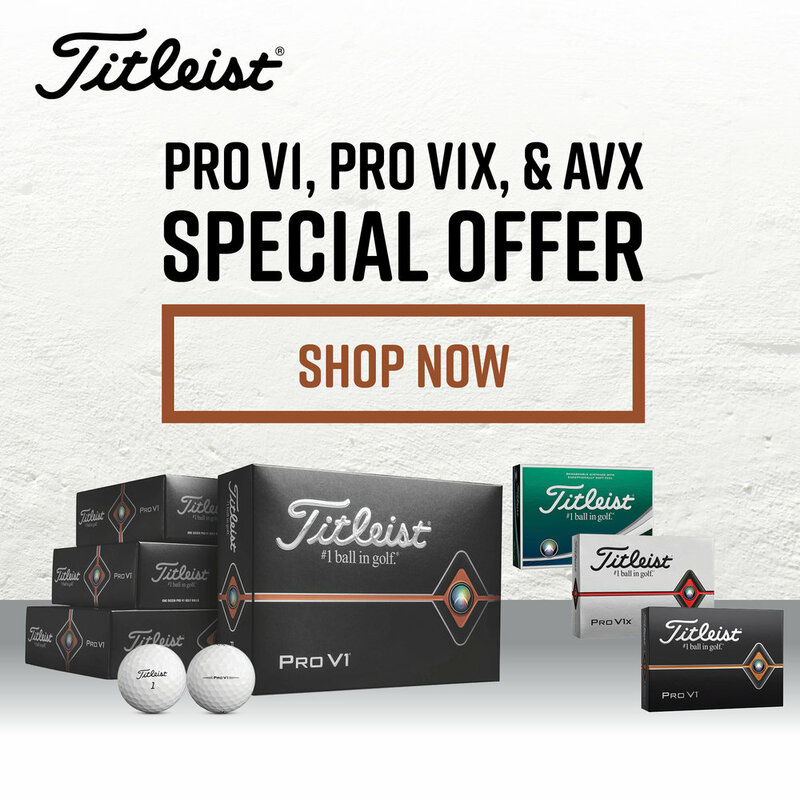 Know a course that needs more rounds & revenue? Have them contact us for help! We must act fast or we could lose another local course! 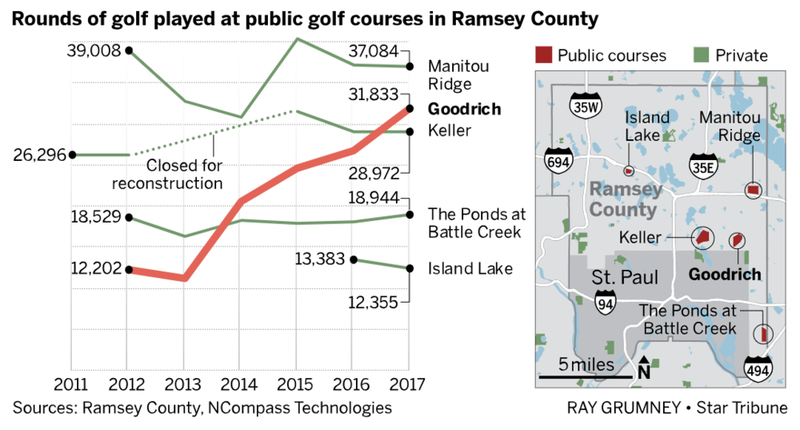 They are proposing repurposing it for multi-purpose recreation that may likely cost the county (and tax payers) MORE than the annual losses it has seen operating as a golf course AND eliminate the ability for generations of Anoka county and surrounding area golfers the ability to play this wonderful course. With over $800,000 in annual INCOME, this property should be profitable as a golf course operations and we have a management team available that can make Chomonix profitable again. TwinCitiesGolf.com has teamed up with Emerald Greens to announce we are going to host the 1st Annual Emerald Greens Father Son/ Daughter tournament in 2019. It will be a two-person scramble format just like the pros do in Orlando. The date is going to be the Sunday before Father’s Day, Sunday June 9,2019. The cost will be $65pp ($130 for the twosome) with up to a $1400 payout to the randomly winning teams. This will be a great tradition to start with your son, daughter and father. If you have another father son/daughter that you would like to play with just indicate that on the registration form. Start a great tradition with a loved one for years to come. There will be a limit of 72 of two-person teams. GPs are being urged to prescribe golf for their patients - after pilot schemes found it boosted levels of fitness, muscle strength and happiness. Family doctors in London, Birmingham and Hampshire are being invited to take part in the programme, which sees the NHS offering golf coaching to patients with heart disease and respiratory conditions. Pilot schemes in south London found that patients referred for golf saw levels of vigorous exercise triple, with significant boosts in life satisfaction, happiness and self-esteem. The study also found an increase in grip strength - an indicator of overall health and longevity - among those enrolled for sessions. Researchers said “golf on referral” could be particularly good at encouraging middle aged men to take up exercise - those who are often unlikely to respond to standard health initiatives. The programme is part of a wider NHS policy of “social prescribing,” with plans for GPs to refer almost 1 million patients for classes and activities which boost health and reduce loneliness. Those taking part in pilot schemes in Bromley and Orpington, south London, saw average levels of vigorous exercise rise almost three-fold. At the start of their programme, average activity levels were the equivalent of about one hour’s running a week. Six weeks’ later, participants activity levels were equivalent to more than three hours’ running. Grip strength, a strong indicator of vitality in older people, increased significantly over the course of the study – suggesting improvements in muscle strength and reduced risk of falls or disability. Major boosts were also seen in the mood of those enrolled in the programme, who had an average age of 68. Life satisfaction scores rose from 7 to 7.8, happiness levels from 7.4 to 7.5 and feelings of being worthwhile increased from 7.9 to 8.5. In pilot schemes, participants were given two sessions a week for six weeks. Each involved a 30 minute group discussion about lifestyle changes, followed by 45 minutes golf coaching. The scheme, backed by fitness body ukactive, has so far been funded by England Golf and leisure operator Mytime Active. From April, it will be offered more widely, with the NHS asked to fund some of its costs, while rolling it out to cover patients with conditions such as type 2 diabetes, depression, and arthritis. He said too many people gave up activities such as football, golf, and dancing as they approached middle age or retirement, and should be encouraged by GPs to stick with it. “We want to see every clinician ask not just ‘what exercise do you take?’ but also ‘are there any sports or activities that you used to do but have given up?’” he said. Steven Ward, ukactive CEO, said: “We all know our national activity levels are well below par on where we need to be. Participants in the pilot schemes said they felt able to discuss their health problems with fellow golfers, in a “non-judgemental and non-preachy” environment. Abbie Lench, England Golf Head of Club Support, said: “We’re thrilled to see this scheme developing from our earlier research into the impact of playing golf on health and wellbeing, which we carried out with the support of Mytime Active and ukactive. Next step? Help them thrive so they continue for generations. If you haven't yet, still fill out the petition at www.twincitiesgolf.com/savechomonix so we can keep you updated on the progress. Read the article at http://bit.ly/2sKk1PT. We'll be launching a massive marketing campaign for them this year and need everyone's support to help the course thrive again. We can do it! To RSVP, fill out the below form and complete league details will be sent out upon RSVP. Golfers may begin play starting January 1 and simply need to finish the 12 rounds by March 28th. Thank you! Next step is to book your first tee time online at www.InsideEdgeGolf.com. Ask for a League scorecard when you check in and watch your email inbox for more details and updates.